Located absolutely beachfront near Ketewel on Bali’s secluded south-east coast, the fully staffed, 6-bedroom Villa Bayu Gita presents top-notch services and fun for all the family, complemented by magnificent sea views. Five-star facilities include an 18m pool, state-of-the-art gym, cinema and games room, and two master suites with private plunge pools. 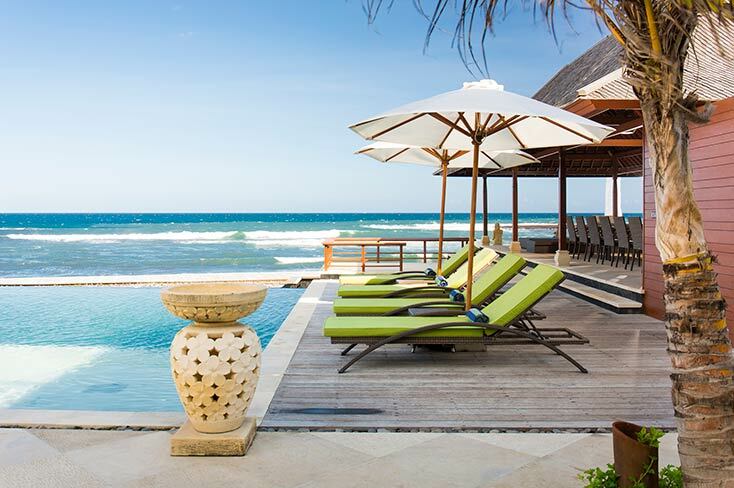 Fifteen minutes up the east coast from Sanur, and worlds away from the madding crowds of Kuta and teensy-weensy-bikini’d wannabes of Seminyak, you will find Villa Maya, one of the four elegant Majapahit Beach Villas practically toppling into the sea. Peace and relaxation live in this 4-bedroom villa … in considerable comfort. Three houses. Nine bedrooms. One residence. 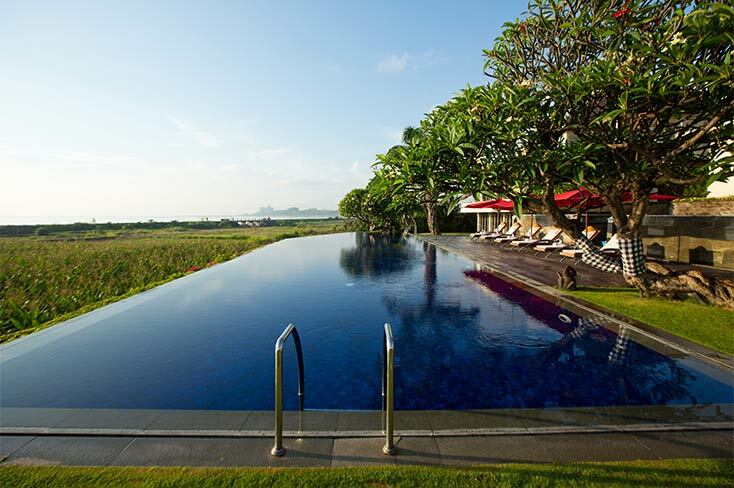 Contemporary in design with uninterrupted views of Nusa Penida Island across the Badung Strait, the fully staffed Sanur Residence, complete with 23m private swimming pool, is just 100m from Padang Galak Beach on a quiet lane four kilometres north of the tourist town of Sanur. 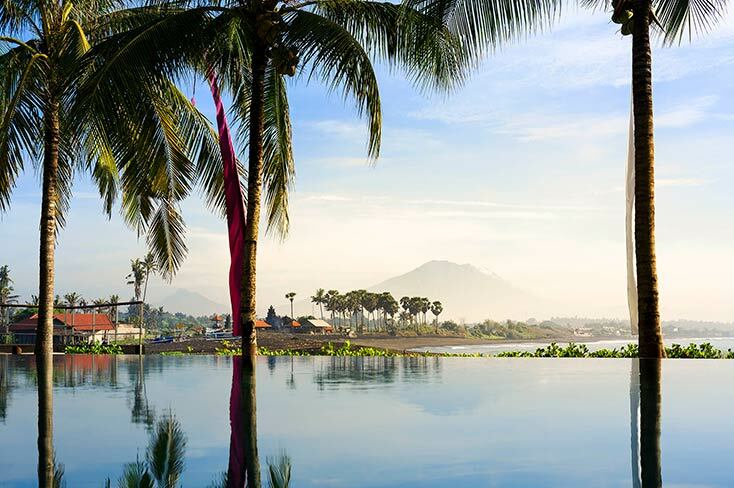 The imposing, fully staffed Ylang Ylang, with its 11m high atrium, faces the waves crashing onto the black sands of Saba Beach 15km north of the tourist town of Sanur. Six ensuite bedrooms decked in chic black and gold surround a fabulous 16m private pool. A stay at the 9-bedroom, absolute beachfront Villa Batujimbar is a rare privilege and a step back in time to days of effortless Bali luxury and style. Situated right beside Sanur Beach, this palatial, fully staffed villa presents soaring thatched roofs, open-sided pavilions, beautiful gardens, a 20m pool, and tennis court. 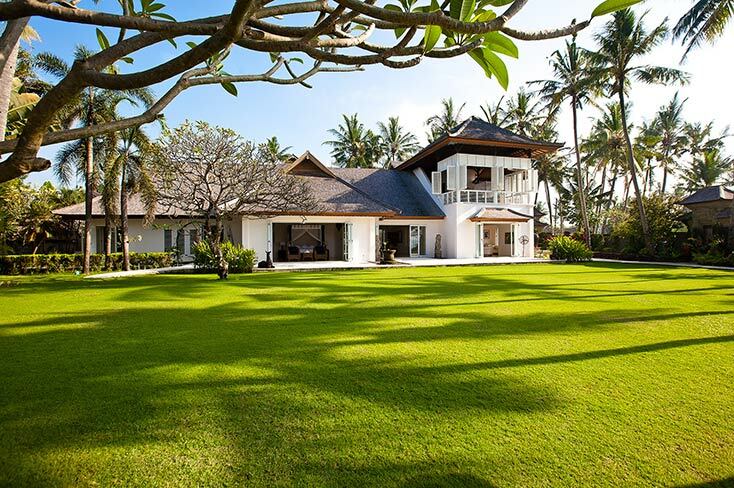 Five-bedroom traditional Bali-style Villa Cemara has ‘wow factor’ in spades. With a 60-metre frontage onto a safe swimming beach in Sanur, spectacular ocean views, gorgeous living pavilion, 10-metre pool, private access onto the beach, and nine staff including an inventive chef to look after you, Cemara is a perfect Bali villa. Villa Puri Nirwana is a charming, contemporary-colonial style, fully staffed, 6-bedroom masterpiece right beside the beach in south-east Bali with magnificent ocean views, a dedicated spa pavilion, 16m pool and plentiful indoor and outdoor living space. It is well adapted for families and guests with restricted mobility.